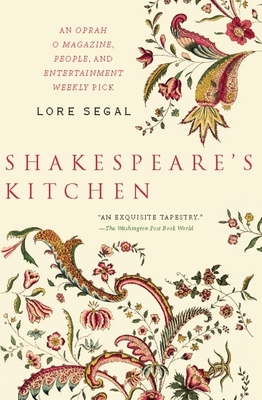 The thirteen interrelated stories of Shakespeare's Kitchen concern the universal longing for friendship, how we achieve new intimacies for ourselves, and how slowly, inexplicably, we lose them. Featuring six never-before-published pieces, Lore Segal's stunning new book evolved from seven short stories that originally appeared in the New Yorker (including the O. Henry Prize-winning "The Reverse Bug"). Ilka Weisz has accepted a teaching position at the Concordance Institute, a think tank in Connecticut, reluctantly leaving her New York circle of friends. After the comedy of her struggle to meet new people, Ilka comes to embrace, and be embraced by, a new set of acquaintances, including the institute's director, Leslie Shakespeare, and his wife, Eliza. Through a series of memorable dinner parties, picnics, and Sunday brunches, Segal evokes the subtle drama and humor of the outsider's loneliness, the comfort and charm of familiar companionship, the bliss of being in love, and the strangeness of our behavior in the face of other people's deaths. A magnificent and deeply moving work, Shakespeare's Kitchen marks the long-awaited return of a writer at the height of her powers. Lore Segal was born in Vienna and educated at the University of London. The author of Other People's Houses, Her First American, and Shakespeare's Kitchen (all published by The New Press) and other works, she is a regular contributor to the New Yorker, the New York Times Book Review, the New Republic, and other publications. Between 1968 and 1996 she taught writing at Columbia University's School of the Arts, Princeton University, Bennington College, Sarah Lawrence College, the University of Illinois at Chicago, and Ohio State University, from which she retired in 1996.